What’s it like at Google? We ask so you don’t have to. 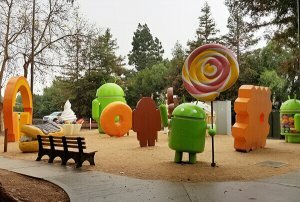 Ever wonder what it’s really like to visit the Google headquarters? Madden Media superstars Alexis Favis and Vanessa Abril-Gutierrez were able to join our partners Jason Holic and Jessica Castro from Experience Kissimmee at Google’s main campus in California last month.